A vehicle is a major purchase – for most consumers the second biggest they'll make. So getting it right is important. Buying a car you'll enjoy driving is always a plus, but meeting three other criteria may be even more important. Safety is consideration No. 1. Both you and your passengers need to feel safe in all types of driving conditions. The good news is cars now are a lot safer than they used to be. Still, some are safer than others. The Insurance Institute for Highway Safety (IIHS) recently singled out 39 models as meeting its standards for a Top Safety Pick for 2014. The category requires good performance in the Institute's moderate overlap front, side, roof strength and head restraint tests and, for the first time, good or acceptable performance in the small overlap front test introduced in 2012. Winning top honors in the small car group is the Honda Civic 4-door. Among mid-size cars, the Ford Fusion and Infiniti Q50 share the honors. In the minivan category, the Honda Odyssey took top honors. "Consumers who want both crash prevention technology and the latest in occupant protection have a fair number of vehicles to choose from," said IIHS President Adrian Lund, announcing the list back in December. "We hope manufacturers will continue to incorporate front crash prevention, developing more robust systems and adding them to more trim levels or, better yet, making them standard equipment." Aside from being affordable to purchase, consumers generally need a car that is economical to operate. With fuel the major expense, getting a vehicle with good fuel economy is important. Once again, newer cars tend to offer that quality. These days the average mid-size sedan tends to get better than 30 miles per gallon (MPG), far better than a decade ago. Generally, however, the smaller and lighter the car the better the mileage, and of course hybrid and electric motors help. Comparing the fuel economy in a sub compact to the mileage in an SUV is a bit like comparing apples to oranges. So Kelley Blue Book (KBB) recently compiled a list of the elite mileage vehicles – those getting 40 MPG or better. Twenty-five cars made the list, which was dominated – not surprisingly – by hybrids and electrics. In fact, no gasoline/diesel-only models made the cut. Topping the list was the Scion IQ EV, getting 121 MPG. 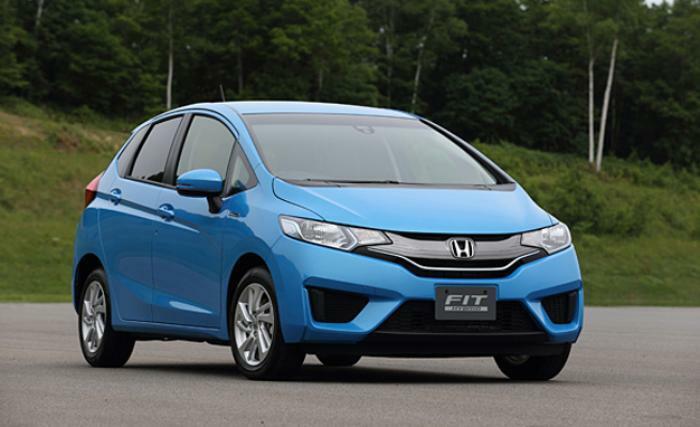 Number two was the Honda Fit Electric Drive, at 118 MPG and the Mitsubishi I, getting 112 MPG. Finally, choosing a car that will hold its value preserves some of the money you're spending on the vehicle. It's a well-worn cliché that a car loses value the minute you drive it out of the showroom. Choosing wisely will limit how much that value falls that day – and the days that follow. A lot of things go into residual value, including supply and demand. If you have a vehicle that a lot of people want to purchase as a used car, it will be worth more at trade-in time. Not spending a lot up front, it turns out, gets you the best return on the back end. According to the latest edition of the National Automobile Dealers Association (NADA) Used Car Guide, three-year old subcompacts have the highest residual value, retaining 54.4% of the Manufacturer Suggested Retail Price (MSRP) for a typically equipped model. The electric vehicle (EV) segment ranked the lowest at 39.9%, perhaps because the demand just isn't there yet. "Depreciation is often the No. 1 expense of owning a car, and understanding how a vehicle will retain its value over time should be considered," said Jonathan Banks, executive automotive analyst of the NADA Used Car Guide. The top three performers in the subcompact segment are the Honda Fit, Scion xB and Kia Soul. The Subaru Impreza, a compact, scored as the top value-retaining vehicle among all classes and segments at 63.5%. Among luxury cars , the nod went to the Lexus IS and the Lexus CT for hybrids and EVs. The Subaru Legacy also topped the midsize car segment with a value retention rate of 60.9%.